Sicis Jewels developed a film project in collaboration with the Victoria & Albert Museum with the aim to show to the public how this refined and historic technique is made. 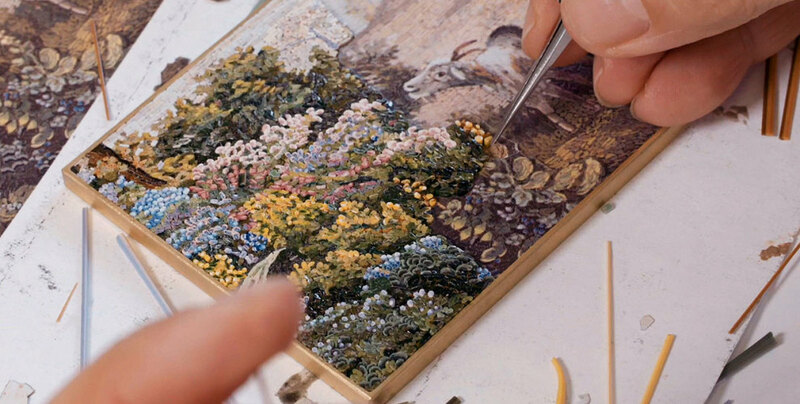 This film explores this astonishing technique through the recreation of a historic micromosaic from the Gilbert Collection, made from millimetre-thin canes of glass and was entirely made in Ravenna Sicis Jewels’ workshop. The collection, offered by Sir Arthur Gilbert and Lady Rosalinde to the Great Britain in 1996, include amongst others some of the most beautiful examples of micromosaic art from the XIX Century, all realized in Italy by Mosaic Masters of the time. Jewels, portraits, boxes, tables which depict meticolously the most various subjects: from landscapes to historical scenes, from architecture to animals. 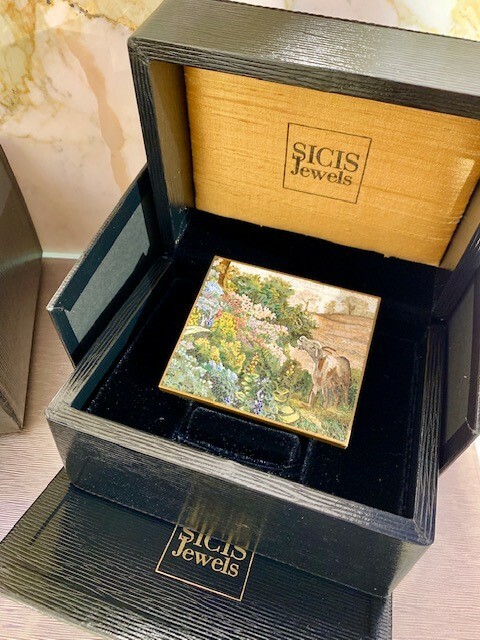 And it’s precisely a table, “The Flora of Two Sicilies”, that inspired Sicis Jewels for the creation of the micromosaic artwork that was gifted to the Museum. The artwork is an exact copy of a tiny table’s portion and was realized by hand by Sicis Mosaic Masters in Ravenna. 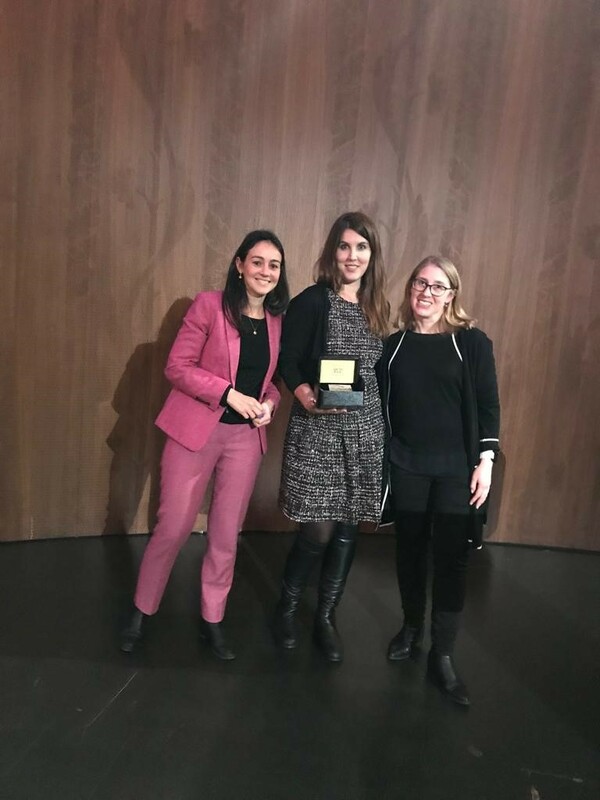 It has been donated to Dr. Alice Minter, curator of the Gilbert Collection, during a public lecture at V&A last month and it will be exposed at the Museum to make better understand to the public the fine art of micromosaic.